US actions in Syria reminiscent of military invasion in Iraq in 2003, Sergei Lavrov said on Friday. The United States' latest missile attack on a Syrian airfield is reminiscent of its military intervention in Iraq 14 years ago, Russian Foreign Minister Sergey Lavrov said Friday. "It is reminiscent of the situation in 2003, when the US, the United Kingdom with its few allies invaded Iraq without Security Council approval, in gross violation of international law," Lavrov said in Uzbekistan. He underscored that the late Thursday attack that killed seven people, according to the Homs governor, was an "act of aggression under an absolutely false pretext." The United States did not bother to provide evidence of this week's chemical weapons attack in Syria's Idlib ahead of launching missiles at its military airfield, Russian Foreign Minister Sergey Lavrov said. "Now they did not even bother to provide any facts, referring only to photographs and again speculating on the photos of children, and of course on the testimony of various non-governmental organizations… to provoke actions against the Syrian government," Lavrov said. However, Russia will demand the eventual disclosure of truth behind the United States' decision to attack a Syrian military airfield, Russian Foreign Minister Sergey Lavrov emphasized. "I do not know when we will happen to learn the whole truth on how decisions were made to attack Syria in this situation, but I think that of course the truth must be demanded, and we will do this," he said. The deadly US missile strike on a Syrian airfield was an attempt to distract attention from the terrorist group known commonly as the Nusra Front (banned in Russia), Russian Foreign Minister Sergey Lavrov believes. "The strikes were delivered without waiting for an inspection visit, without waiting for an investigation. 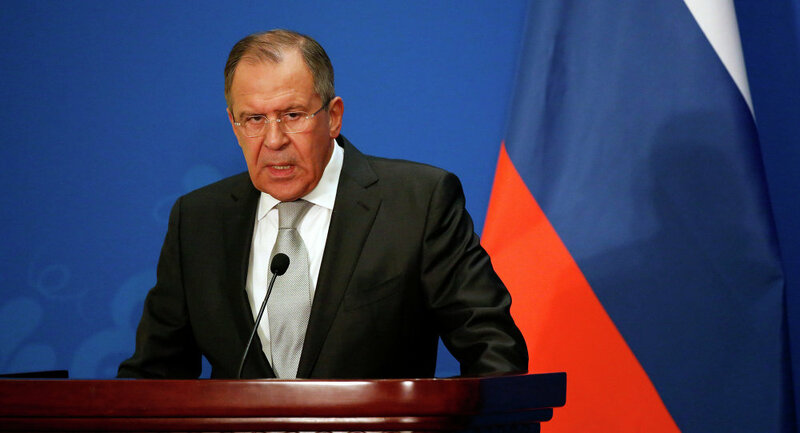 It seems that they wanted to diver attention from the same Jabhat al-Nusra," Lavrov said. He expressed an opinion that the group "continues to be seen as a reserve unit in order to move from negotiations to regime change." Russia hopes the latest US missile attack on a Syrian military airfield does not lead to irreversible results, Russian Foreign Minister Sergey Lavrov noted. "All this causes damage to the already undermined relations between Russia and the United States, but I hope these provocations will not lead to irreversible results," the minister said. Russia will draw conclusions toward the future of its relations with the United States following the deadly US missile strike on a Syrian airfield, Foreign Minister Sergey Lavrov told reporters. Lavrov, speaking in Uzbekistan, accused Obama-era "functionaries" of forecasting a breakdown in Russian-US cooperation in the wake of the late Thursday strikes. "I hope that they will be put to shame, although of course we will draw our own conclusions for our future relations," he said. On Tuesday, an alleged chemical weapon attack in Syria’s Idlib province claimed the lives of some 80 people and inflicted harm on an additional 200 civilians. The Syrian National Coalition of Revolutionary and Opposition Forces, that reported the attack, as well as a number of Western states, blamed the Syrian government troops for the attack, while Damascus has refuted these allegations, with a Syrian army source telling Sputnik that the army did not posses chemical weapons.